TPM President Rodolfo Lavaque has been chosen to moderate a panel entitled Technical Performance Measures: When is Done “Done”? at the "Turning Knowledge into Practice" symposium in May, 2018. This event is hosted by the Project Management Center for Excellence at the University of Maryland. Find out more about the panel here. TPM Becomes a NOAA Weather-Ready Nation Ambassador! 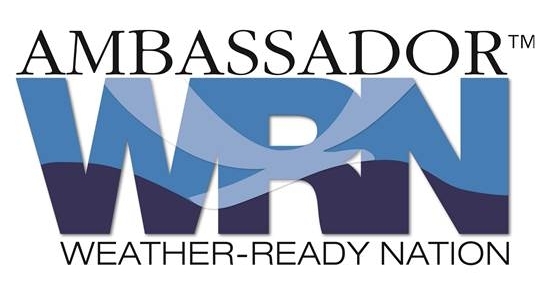 The Weather-Ready Nation Ambassador initiative is an effort to formally recognize NOAA partners who are improving the nation’s readiness against extreme weather, water, and climate events. Recognition as a Weather-Ready Nation Ambassador, signifies that TPM is committing to work with NOAA and other Ambassadors to strengthen national resilience against extreme weather. WRN Ambassadors serve a pivotal role in affecting societal change — helping to build a nation that is ready, responsive, and resilient to the impacts of extreme weather and water events. You can read more about Weather-Ready Nation initiative here. "The team that made this mission possible is diverse in skill and expertise, but shared the common vision of delivering GOES-R to help save lives and protect the economic interests of the nation." TPM is proud to be a part of the GOES-R Team, which has been selected to receive the 2017 Agency Honor Awards, Group Achievement Award from NASA. The Agency Honor Awards, the most prestigious given by NASA, are presented to select individuals and groups of individuals (Government and non-Government) who have distinguished themselves through outstanding contributions to the Agency’s mission.